GJ Stevens started writing fiction at the age of thirty. He describes his style of writing as popular fiction which usually has some sort of Sci-Fi or paranormal element, but he is on a journey and won't pigeon hole himself into one genre. Even as a degree level engineer with a large family and a full time career in a serious profession with plenty of adult responsibilities, he has always had an artistic and creative side. After years of self-suppression, the flood gates opened and his novel, In The End, is the culmination of many years of finding time from nowhere to learn the craft. Whilst working to self-publish his first novel, GJ, real name Gareth, chose to document his publishing journey in an open-book and honest fashion and through his blog he lays bare his journey, detailing his mistakes and the findings of his research as he treads his way into publishing. As a lover of the outdoors, every year he spends weekends out in the desolate countryside of the UK hiking and camping with his long-time friends which he uses as inspiration for both his creative fiction works and the subject of many a blog post. 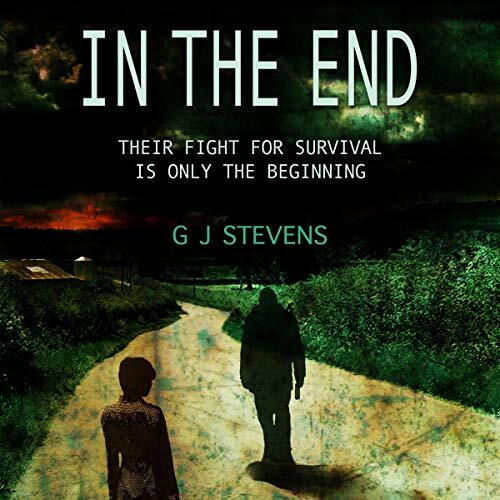 GJ Stevens is on the beginning of his publishing journey and wants to share the highs and lows with anyone who will listen.